The birthing process isn’t just tough on moms. Babies, too, undergo trauma to their tiny spines and nervous systems. As your child grows, they trip and fall countless times. You might think they’re fine, but it still causes stress on their small bodies that can add up to bigger problems further down the road. We always say it’s easier to build strong healthy children than to repair and heal broken adults. 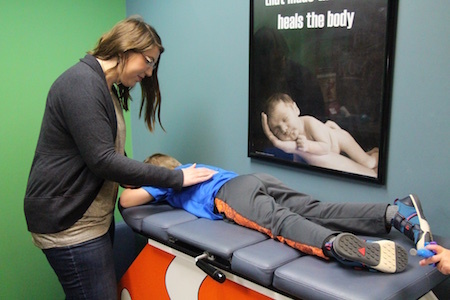 At Imagine Chiropractic, Dr. Jill and Dr. Carolyn can ensure your baby or child’s body is aligned and functioning at the highest possible levels. Your child can live to their fullest potential with a strong immune system, less injury and fewer symptoms such as pain or sickness. Our team loves to see children at our practice, letting them be themselves and feel at home in our kid-friendly environment. If your child has special needs, we’ll make every effort to accommodate them. 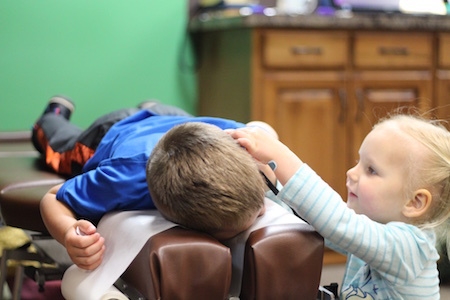 You’re welcome to bring your child into our office as many times as it takes for them to feel at ease before getting started with their appointments. 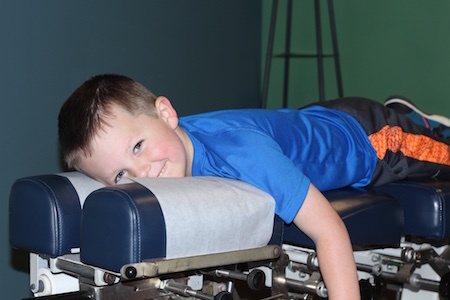 We can modify your child’s adjustments to suit them, such as while they’re sitting on mom or dad’s lap, lying on our four-foot-long plush alligator or the Nemo fish adjusting table. When they see other children in our office who are happy to see Dr. Jill and Dr. Carolyn, they’ll automatically feel more comfortable. The new patient process for children is the same as it is for adults. We would rarely take X-rays on a child unless indicated. We’ll make our recommendations to your child on a case-by-case basis. We’re here on Saturdays to make sure that your visits are convenient. Contact us today to get started!